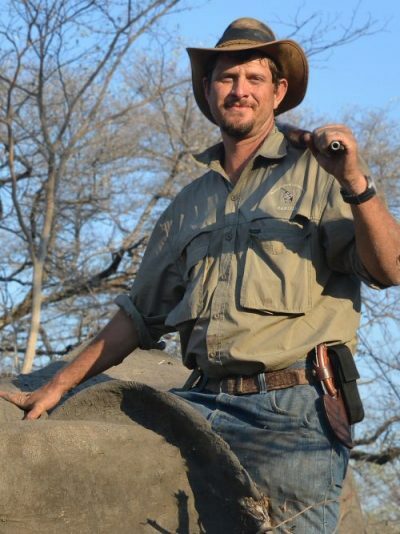 Shona Hunting Adventures was founded in 2005 by Johann Veldsman. Johann, being the son of a Geologist, grew up in tented camps in the African bush where nature was his classroom. From an early age he learned to hunt from his dad as hunting was part of putting meat on the table. His love for hunting, as well as nature, has resulted in him pursuing a career as a Dangerous Game Professional Hunter and Safari Operator. For the last 18 years Johann has guided both photographic and hunting safari clients on numerous successful safaris across the whole of Namibia. In 2000 Johann took over management of the properties Huab and Olifantsdood. The properties are situated in the northwestern part of Namibia on what is now known as Shona Hunting Adventures’ Huab Hunting Properties. Under his management, the area, which at the time had almost no game due to mismanagement, was transformed into a wildlife paradise. Today, the 16,500 acres of land belongs to the Veldsman family and it is from here that Johann, along with a dedicated team, provide fully customized combined hunting and photographic safaris throughout Namibia. The 16 500 acre un-fenced property now provides a sustainable habitat for hundreds of natural occurring game animals. It is also one of the last areas in Namibia where natural migration of wildlife onto privately owned land still occurs. Proving that sustainable utilization through trophy hunting is an effective conservation tool.